Tea prices in the domestic and international markets are expected to remain firm in the coming months as there are no signs of easing of the deficit situation globally, say analysts. The year 2009 is expected to end with a production shortfall of 5 million kg-10 million kg in the domestic market and about 75 million kg-80 million kg in international markets. With no signs of easing of production shortfall, tea prices are expected to remain firm in the domestic and international markets in the coming months, said Sharekhan Ltd in a note. World tea production has been hit mainly due to lower output and exports from Kenya and Sri Lanka. According to the India Tea Association, from January to September 2009, global tea production fell by 6.5% or 88.6 million kg from the same period last year. The Tea Board of India (TBI) said that during the first half of FY10, tea production and exports declined 0.32% and 7.4%, respectively. However, during the same period, domestic tea prices increased by 21.2% to an average of Rs104.40 per kg. 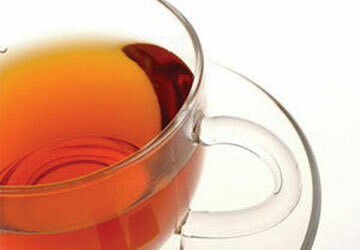 Export tea prices declined by 0.9% to an average of $2.9 per kg, TBI added. During 2008, the country's domestic consumption and per capita consumption were 802 million kg and 701 gm per head, respectively. For the next year (2010), the figures are likely to be 837 million kg and 711 gm per head, said a report by the standing committee of experts on population projection and IIM-Calcutta. Since August, share prices of companies like McLeod Russel India Ltd and Jay Shree Tea & Industries Ltd have risen by 63.3% and 59.4%, respectively. However, due to overall moderation in the markets and correction in share prices, current prices of these companies offer an entry point to investors. "On high domestic and export realisation, we expect tea plantation companies such as Mcleod Russel and Jay Shree Tea to continue to maintain higher profitability in the coming quarters. With stock prices of these two companies having corrected by about 10%-15% from their recent highs, the current weakness in tea stocks and overall sedate market environment offer an entry point to those investors who have completely missed the rally in tea stocks earlier," added Sharekhan. On Wednesday, McLeod Russel closed 2.2% up at Rs256.40 on the Bombay Stock Exchange while Jay Shree Tea shares declined 0.20% to Rs326.80.